328 pages | 4 Color Illus. | 187 B/W Illus. 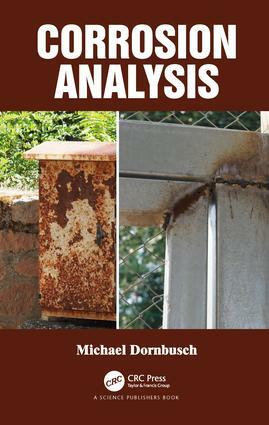 The book gives an overview about all relevant electrochemical and spectroscopic methods used in corrosion research. Besides the correct use and interpretation, the methods are correlated with industrial test methods for organic coatings and conversion layers. Since 2011 Michael Dornbusch has been a professor for coatings technology at the Niederrhein University of Applied Sciences in Krefeld, Germany. His research is focused on corrosion protective coatings and transport processes in coatings. It is a continuation of his eight years working in the coatings industry focused on corrosion protective coatings for the automotive, marine, aircraft and fastener industries in different companies in Germany. In his teaching he foscused on EU legislation for chemicals, electrochemistry, spectroscopy, coating application and processes.